The Arizona State University (ASU) South Carolina Alumni Club is pleased to announce the 4th Annual Charleston Honor Run taking place on April 27, 2019 at MUSC Health Stadium on Daniel Island. 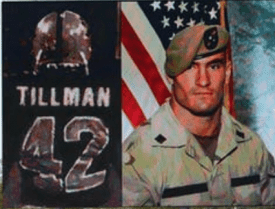 Tillman Honor Runs take place each year in select cities across the country in honor of NFL star, Pat Tillman, who left his professional football career to serve with the 75th Ranger Regiment in Afghanistan and later died during military combat operations in 2004. The funds raised through each Honor Run benefit the Tillman Scholar Program, which includes scholarships, professional development opportunities and access to a national network of high-performing peers and industry leaders for military veterans and spouses. To date, the organization has invested more than $16 million in academic support and assisted 580 Tillman scholars within their network. Organized each year by local Daniel Island resident Joel Jackson, the family-friendly, 4.2-mile walk/run celebrates the military community and legacy of Pat Tillman, while providing residents with an opportunity to come together and enjoy live music, kids activities, food and giveaways. In recognition of Tillman’s Arizona State jersey number—#42—the distance for the adult race is 4.2-miles and 0.42-miles for the Kids Run. After the event, participants, families and friends can enjoy an after-party celebration at Dockery’s on Daniel Island.